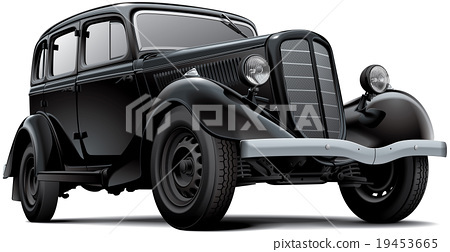 High quality vector image of old fashioned Soviet passenger automobile, isolated on white background. File contains gradients, blends and transparency. No strokes. Easily edit.